On December 1 and 2, 2018, APAC will produce a two-performance benefit concert of Luna Park by Hyeyoung Kim (Music & Additional Material), Michael Cooper (Lyrics & Additional Material), and Daniel F. Levin (Book) at the newly opened RIOULT Dance Center. 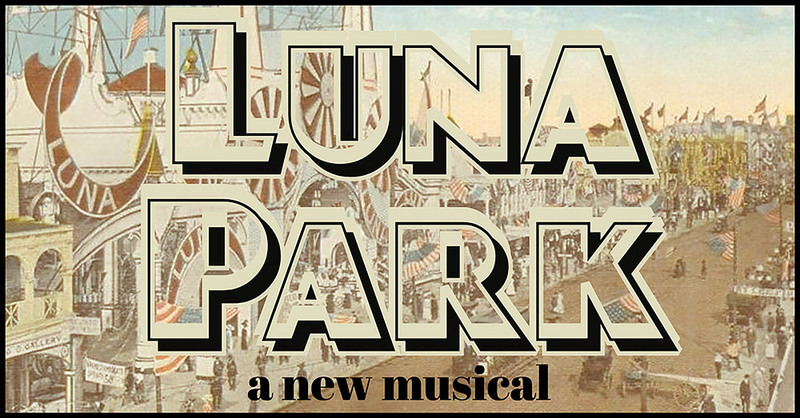 Set in Coney Island at the turn of the century, the musical chronicles the birth of the most iconic and controversial amusement park in the world. Both performances will be followed by a Coney Island-themed post-show celebration for select ticket buyers. From January 31 to February 16, 2019, APAC will produce the New York Premiere of Queen by Madhuri Shekar at the Variety Boys & Girls Club of Queens in Astoria. J. Mehr Kaur will direct. Queen tells the story of two female scientists, Sanam and Ariel, who have spent the past seven years researching vanishing bee populations across the globe. Just as they are about to publish a career-defining paper, Sanam stumbles upon an error which could cause catastrophic damage to their reputations, careers, and friendship. Now, both women are confronted with an impossible choice: look the other way and save the bees — or tell the truth and face the consequences? Queen received its World Premiere at the Victory Gardens Theater in Chicago, where it was nominated for a 2017 Jeff Award for Best New Play. Included on the 2017 Kilroy’s List, Queen has had subsequent productions in Seattle and the Bay Area. Madhuri Shekar’s other plays include House of Joy (South Coast Rep’s Pacific Playwrights Festival, upcoming world premiere at California Shakespeare Theater), In Love and Warcraft (winner of the Alliance Theater’s Kendeda Graduate Playwriting contest and published by Samuel French), A Nice Indian Boy (East West Players), and Bucket of Blessings (winner of the Suzi Bass Award for Outstanding Original Work). From May 2 to May 25, 2019, APAC will produce the acclaimed musical Caroline, or Change by Tony Kushner (Book & Lyrics) and Jeanine Tesori (Music) at the Variety Boys & Girls Club of Queens. APAC Artistic Director and NYIT Award nominee Dev Bondarin will direct. The Astoria Performing Arts Center (APAC), a not-for-profit organization, was founded in 2001; APAC’s mission is to bring high-quality professional theater to Astoria and Western Queens, and to support local youth and senior citizens through robust community programs. On its mainstage, APAC produces revivals and premieres of plays and musicals, and also develops new works through concerts, readings, and workshops. APAC offers free annual community programs, including a summer performance camp for children ages 8-13, an after-school playwriting program for middle school students, and a performance program for Queens residents 60 and over. These programs deepen ties with the community and develop new audiences for theater. Diverse programming and consistent quality attracts a loyal and growing audience that reflects the diversity of Western Queens and also draws from the other boroughs and beyond.